Thank you for helping to promote Youth Voice Census 2019 on your publicity and social media channels. We hope the following information is useful when spreading the word among your peers, networks and colleagues. 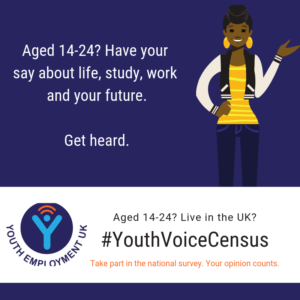 Youth Employment UK’s Youth Voice Census has launched for 2019. This annual survey is a temperature check of how young people aged 14-24 are feeling on a range of issues relating to their transition from education to employment. 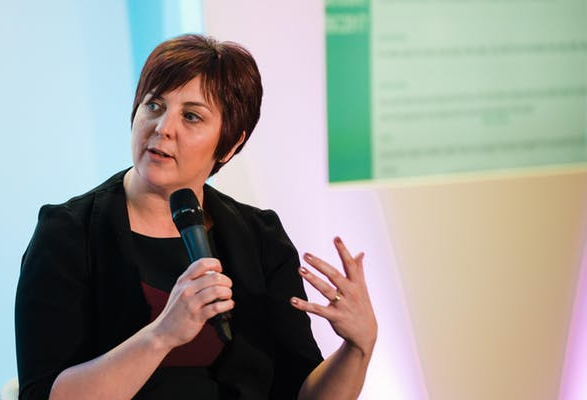 Youth voice is at the heart of everything we do at Youth Employment UK. 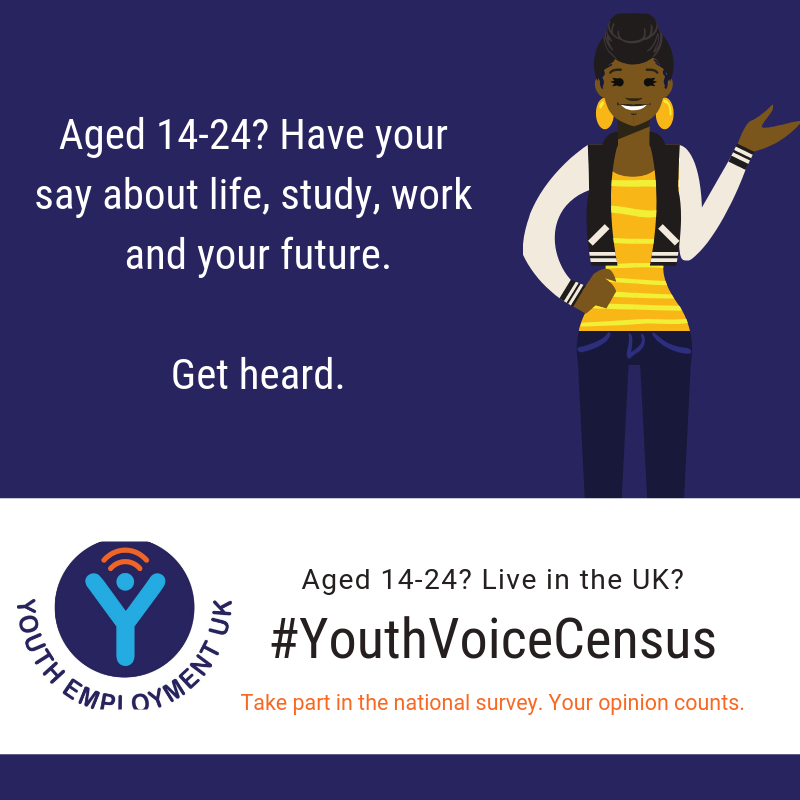 This survey allows young people to share their opinions on the issues facing them and their experiences of the services on offer, enabling us to build a picture of how young people are navigating the transition from education to employment. Last year 1,498 young people shared their views and since then we have been working with partners and policy makers to share what is working well and what could be improved. It is important that we hear from the widest cohort of young people so we can provide a detailed picture of the youth population and therefore your support in sharing the survey link with your networks is very helpful. The Youth Voice Census is an annual survey, presented as a report with the results made available to the public shortly after the survey closes. 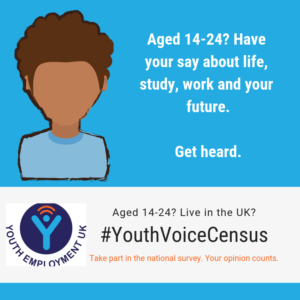 The census explores youth employment issues including (but not limited to) careers advice, apprenticeships, social action and unemployment provision. 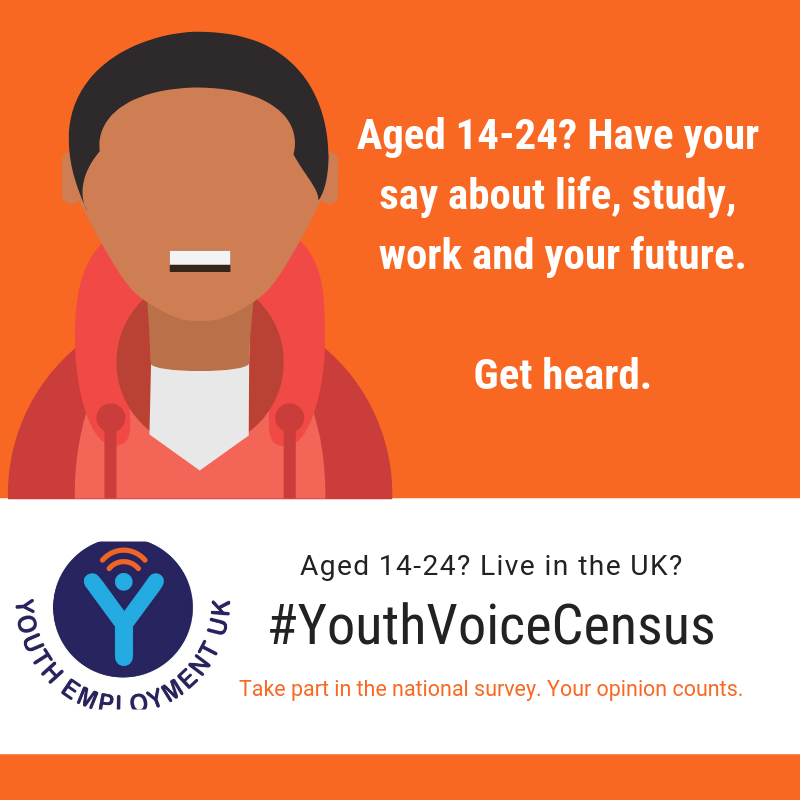 Developed in collaboration with The Careers and Enterprise Company, the Youth Voice Census has also received support from subject experts including AELP, Education and Employers, WorldSkills UK, DfE, Movement to Work, NYA, and British Youth Council. The census will remain open until 22nd March 2019. 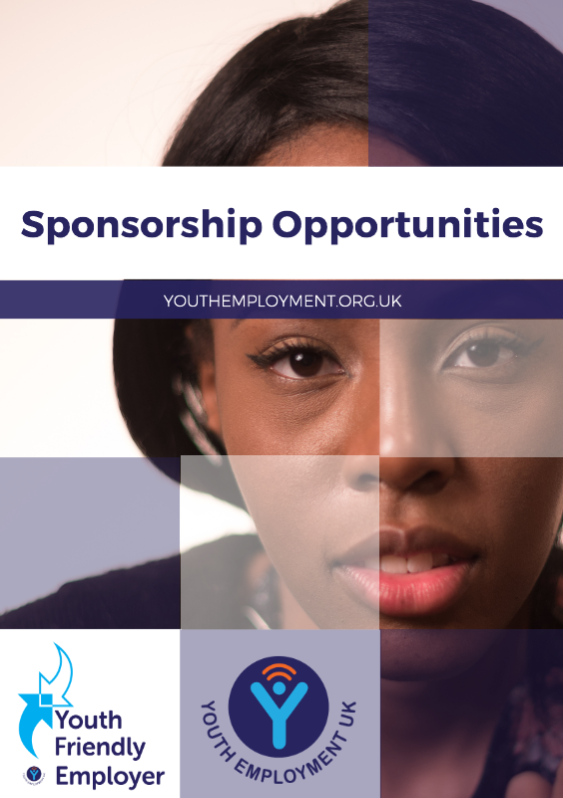 Youth Employment UK is a not for profit organisation set up in 2011 to tackle youth unemployment. The organisation provides expertise to government and businesses, led by the views and experiences of the 20,000+ young people in its network. 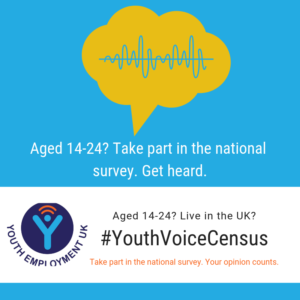 The Youth Voice Census will begin to run annually from February 2019. For all media enquiries, please contact Laura Gibbon at lgibbon@youthemployment.org.uk or on 07834 434630. Representatives from Youth Employment UK and young people from its network are available for interviews. The images below are suitable for a range of social channels including Twitter and Facebook. You can download a larger version of any image you click on. Our Twitter account is @YEUK2012. Please follow us and retweet! Please include our Twitter handle and # so we can retweet and express our thanks for your insights and generosity! You can use your choice of images above with these tweets – designed for a range of audiences – to share the news about the launch of the 2019 Youth Voice Census on Twitter.